William Shakespeare, "As You Like It' Act 2, Scene 7, pps. 139-143. Alright, so you've formed a musical union with another and having done so are prepared to transition from practice mode to performance. You've jammed together for seemingly countless hours, established roles within the context of the group, formed a substantial set list, worked on adding a certain improvisational element to the music, and tightened up the loose ends. So now what? How do you make the monumental leap from the quiet confines of your conservatively furnished rumpus room to the bright lights of the stage? How do you go from playing to performing and what exactly does it take to set up the equipment necessary to make your performance as monumental and entertaining as it possibly can be? And perhaps most importantly of all: how do you know when you're truly ready?! These as well as other crucial questions will be answered in the captivating pages to come! The topic of booking is covered thoroughly in my article entitled "Booking Gigs with Confidence" which can be found here on the JamPlay site. But to briefly reiterate, beginning with open mics and other "friendly" venues can be a great way to make the initial contact with the outside world and test the waters with your new act. This can be a great first step for any act and will help you to build confidence in yourself as well as your duet so that you can continue in the booking process with poise and self-assurance. Another way to make that initial step is to join up with other performing musicians (I.e. bands, other duets etc) and inquire whether you might be able to open for them. Most successful acts including big-time professionals have worked as an opener for someone else's group and have often even outplayed the headliner. In fact, in the summer of 1967, Jimi Hendrix was the opening act for The Monkees tour and was greeted by thousands of screaming Davy Jones fans who subsequently booed Jimi off of the stage at each and every performance until he inevitably walked off the stage. Ultimately, of course, Jimi evolved and gathered a following of his own, the likes of which is still gathering momentum and notoriety to this day. Any experience and exposure, including opening for a group whose music you don't necessarily take pleasure in is beneficial and will inevitably help you to do more bookings over time and will provide you and your duet valuable performance experience. From this writer's perspective, there is an enormous gap between simply playing music and performing it. The term "playing" implies (to me at least) the act of going through the motions, working through the ins-and-outs of each song, the introductions and bridges, the lead breaks and the chords. It suggests the rudimentary actions of practicing or sometimes tragically, performing with a complete lack of heart and passion. Obviously, the relationship between the two words, playing and performing, brings up a semantic issue and certainly each word will have separate and seemingly private meanings to each and every one of us, but the point I'm attempting to get across to every one of you is that there is a difference between simply going through the motions of singing and playing the chords, and performing! I like to break up the fundamentals of performance into four categories: Dissection, reflection, presence and endurance. Yes, musical performance does necessitate the use of certain chords strung together in a rhythmic fashion with a smattering of vocals thrown in for good measure (and a side of spicy lead guitar perhaps). But is a song simply the sum of its parts? I would certainly answer a resounding "no!" Each song demands a particular level of attention and deliberation and should be considered an entity in its own right. In fact, each piece of each song, introduction, verse, chorus and right through to the conclusion should be treated as separate organisms and with infinite awareness and delicacy. This is where the concept of dissection or literally "cutting into pieces for analysis" comes into play. Having an awareness of each section as an independent part, treating it with ultimate respect, and performing it as if it were a song in itself is an integral part of evolving playing into performing. A good example of this might be to pay particular attention to an arpeggiated introduction, which increases gradually in volume and intensity as you transition into the first strummed chords of the song. Should you rush through the intro and perhaps fail to make a clean transition into the first verse, or fail to keep the time signature straight, you may fall short of setting the groundwork for the rest of the song in the capacity that it deserves. In essence, each section of a song is an organism with its own distinct mood, character and personality and should be performed with due reverence to each one of those traits. Paying attention to the fine details of each song can help you to find the passion due each piece, and help you to perform it with every ounce of being and zeal that you possess in your heart. Simply stated, this aspect of performance simply requires that you play songs that are meaningful to you, and use the underlying emotion that the song elicits in you to perform. To many, this goes without saying and most people tend to navigate towards music that moves them on some level. Reflection simply implies that you emulate or echo the emotion contained within each song, whether it be rapturous joy or abject sadness, and channel that emotion into your playing. There is, of course, a subjective element to this process as each of us will interpret the emotional element contained therein in our own personal way. This can definitely work to our advantage though as our interpretation allows us to make each song, whether it be a cover song or an original, into our own personal work. To many this process comes as naturally as drawing a breath, but for others this may take some deliberation. Many human beings, for one reason or another, are disinclined to express emotion especially when around other people. Subsequently, the process of reflecting and channeling emotion into their performance may be hindered. Those who fall into this category may need to spend time consciously reflecting upon the content of the songs they will be performing or possibly fail to suffuse their playing with energy and passion. This brings me to our next category. Presence, simply stated, is utilizing the above facets of performance, dissection and reflection to become absolutely and completely present and focused in the moment. In other words, having dissected the various parts of each song and reflected upon their implications and allegations, presence implies that you pour every ounce of your attention and being into each and every fragment. Being present demands feeling and dedication to each and every part of each and every song, both emotionally as well as physically. Obviously, this can be a challenging thing to do what with the phone bill overdue, and the price of unleaded gas going up and that little stress headache that's been gnawing gnawing gnawing at your temples over these past few weeks. Being present in our overly-busy, exaggeratedly complex world can indeed be demanding. But in truth my friends this is where you can leave all of those little petty problems behind, problems that will always arise and will always go away with the same insidious frequency. Presence is absorption, relinquishment and allowing oneself to become utterly and completely immersed in the music. And the more you let go and allow yourself to become absorbed in the music, the more present you will become. Presence can also take on a very different form when you're performing within the realm of the duet. In lieu of the fact that you are interacting with another, it is of the utmost importance that you are both present and in the moment while performing. If one of you is distracted, or happens to be lacking focus at any point within the song, problems can arise and mitigate the power of the piece. On the other hand, if both of you are fully present and dedicated to performing the piece to its full potential, presence can increase exponentially and each of you will be able to tap into one another's energy and raise the intensity of the performance significantly. Most shows last around three hours and often take place in the evening hours. Although the munificent management will grant you punctuated periodic breaks sandwiched between your sets, a performance can be a lot like running the Boston marathon! Subsequently it is of the utmost importance that you pace yourselves. The process of dissection, reflection as well as becoming totally present can be unbelievably exhausting, both physically as well as emotionally. Hence, many performers tend to walk away between sets and "recharge" their batteries, so to speak. Others don't need this type of escape and rejoice in simply conversing with the various friends, fans and supporters in thanks for their unfaltering encouragement. But regardless of your preference to walk or talk or any other break time excursions, in order to maintain a strong presence and perform to the maximum of your abilities you will likely need to find a way to unwind between sets. Physical stamina is also an important facet when it comes to performance endurance. Many professional musicians are arduous proponents of health and fitness and strive to maintain cardiovascular health (as well as other). Obviously these are personal decisions for each musician to make but as the demands of performance become more taxing (more gigs, touring, etc etc) the matter of physical stamina and endurance becomes more essential. Certainly, the areas of dissection, reflection, presence and endurance are central to transmogrifying the banalities of playing into the resplendence of performance. But many of you might be wondering how to contend with the logistics of setting up the actual mechanisms of performance, the gleaming machines that take the modest mouse that is acoustic guitar and transform it into rock and roll. Let's take a look at the ever-important topic of setting up the sound! Regardless of whether you are the most seasoned, extraordinarily talented prodigy, or simply a beginning player who wishes to shout out to the world her songs about love, the sound system is the conduit through which each and every note must pass (unless you're playing "unplugged!"). Amplifying, blending, integrating and coordinating each sound from guitar and voice both, synthesizing notes concordant and discordant as well to create the ultimate and final manifestation of all your years of love and bitter sweet labor into one moment of musical birth and creation. Your sound system is the final portal through which your musical child must pass and hence it is exigent that you acquire the skills and equipment necessary to perfect your sound to the best of your abilities. Here is a brief synopsis of what you will need to do to. 1. Passivity is synonymous with non-powered in the music industry and one way or another, you will need a power source. 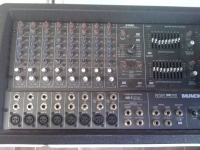 Your first and most commonly used option is to use a powered mixer with passive speakers. This is a technique that I've employed in my performances for many years and is relatively simple to set-up and utilize. 2. The second technique employs the use of a non-amplified or passive mixer with powered speakers. Your power source in this scenario is the speakers rather than the mixer. 3. Passive mixer and speakers with a separate amplification source. This is simply another way to introduce power into your system although this technique can take a little more work to set up properly. 1) Find a central point to place the mixer that is convenient for you and others to insert their instrument cables into, and where you will be able to make adjustments to your sound as needed. In lieu of the fact that you are running your own sound, you may very well need to make adjustments to the volume levels in between songs so the proximity of the board to yourself is an important factor. Try to avoid setting it up where patrons of the club might trip over any cables but where you are able to get to it if you need to. 2) Set up your microphone stands. This is an important step because in a sense, you are creating the area where you will be situated for the performance as well as making a logistical decision as to where the speakers will be located as well. If the microphone is positioned too close to the speakers and/or facing the speakers it can cause problems(see feedback). Adjust your microphone stand so that the mic is in a comfortable spot for you and gives you enough room to maneuver your guitar around (if you're playing one). If you've never bumped your prize-winning guitar into a microphone stand in the middle of a performance you're in for a treat! Now it's time to attach your mic cable and run it underneath you and into the mixer. Most microphone cables have what is known as "XLR" connections which tend to be lower impedance connections, compared to a guitar cable for example. Try to use a mic cable with XLR connections whenever possible. 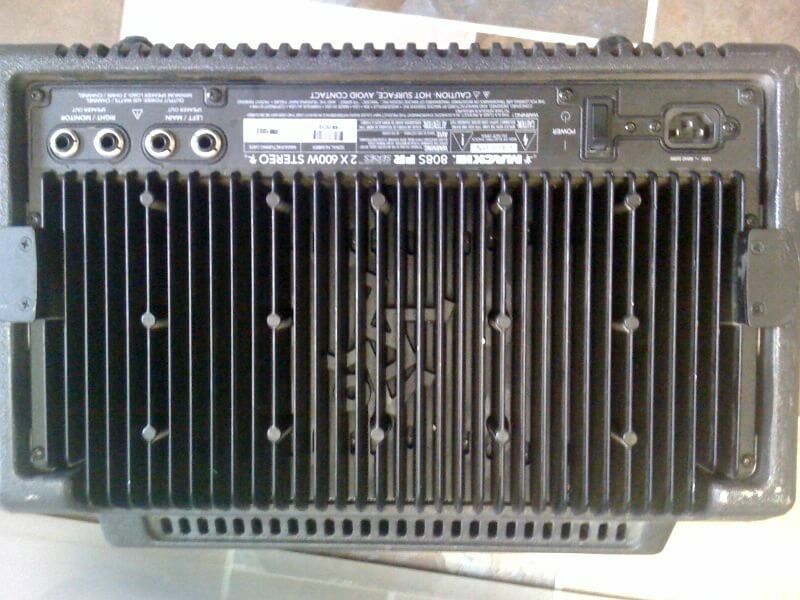 The Mackie 808 mixer (like many others) has eight inputs in the front of the board so pick one and insert the cable into it. Don't adjust the volume or other levels yet, we'll look at that process in the near future. 3) Set up your speakers-try to get the speakers as far as possible from one another while still setting them in positions where they won't be jostled or even worse, toppled over! You're should always use speaker stands if you have them available to you for two reasons: one, they help to elevate and improve your sound as well as blast it out to the masses; and two, the speakers tend to be more visible to people if they're elevated. 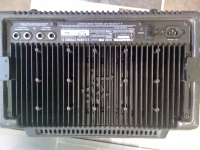 In addition you certainly don't want expensive speakers sitting in a puddle of lite beer-by-Miller, right?! Run the speaker cables behind your whole set up and into the back of the mixer. 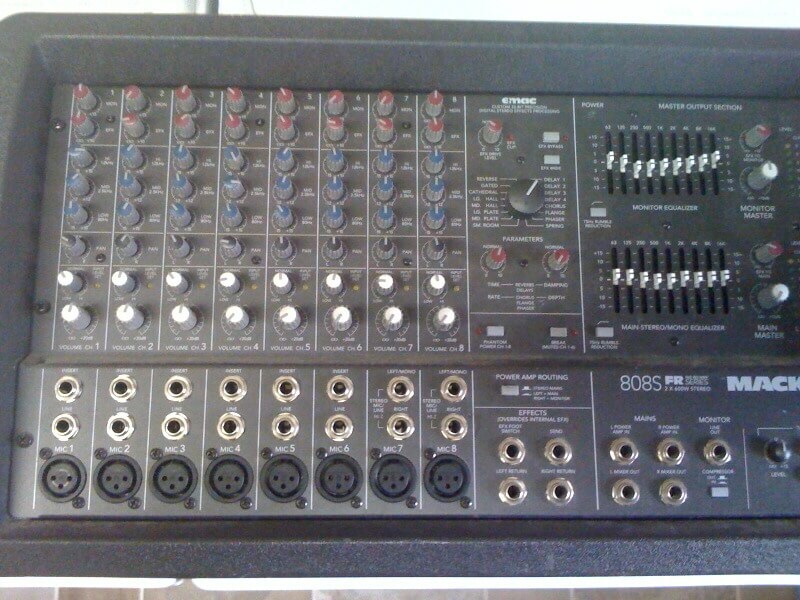 On my mixer the Mackie 808, there are four inputs on the back so I tend to use the first two inputs for the speakers. 4) Now it's time to start acclimating your guitars (although some people do this as soon as they get the guitars indoors). You'll want to give your instruments time to adjust to any temperature and/or humidity changes that they might be experiencing from coming indoors. If you live in a cold climate then temperature changes can be extreme going from your car to the club so you may need more time for the instrument to adjust. Temperature variations will cause the strings to go out of tune so acclimation is important. 5) Now run your guitar cables from the guitars into any pedals or devices you might be using, and then into the second third etc inputs on the front of the board. You will likely be using a 1/4 inch inputs as they are the most common types of guitar chords. Again, leave the levels unadjusted until everything is hooked up and the mixer power has been turned on. Make sure that your guitar and other cables as well are located out of the reach of patrons or you may have a special surprise in the middle of your finale' as someone trips headlong and does a nosedive into their neighbor's frijoles! 6) Now it's time to turn the mixer on but before you do make sure that the main volume is all the way down and/or the board is muted. The Mackie 808 has a mute switch located on the right-hand side of the board which can come in very handy at times especially if you want to simply mute the whole system while you take a break, or if you're having sound problems. Once you've verified that the volume is down or muted, plug the mixer in and turn the board on. Make sure that the outlet and/or extension chord you're using is three-pronged or grounded. A small green light will illuminate if the board is receiving power but if you don't see the green it likely means that the outlet you're using is either dysfunctional or turned off by a wall switch. 7) Now it's time to adjust your levels and do a sound check! Turn off the mute switch, turn the main volume levels up (located on the right side of the mixer) to about 1/3 to 1/2 of the max volume available. Numerous different factors like room size, crowd volume, your groups' volume, as well as the whims and desires of the management will all have to be taken into consideration as you adjust your volume levels. Many times the crowd will be loud at first but might taper off as the evening progress and you may need to adjust your levels accordingly. 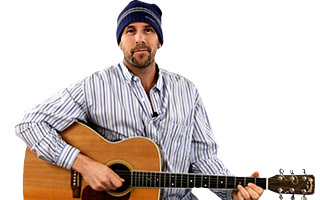 Adjust your guitar and vocal levels as well playing one at a time, and then together. Make sure that you have a good blend between the guitars, and the guitars and vocals. You may have to do further adjustments as you go on and sometimes you may be able to elicit some feedback from patrons or employees in the club as well. These adjustments will become easier and easier for you after you've done them a few times and you'll become accustomed to your mixer's particular ins and outs. If you happen to hear a loud squealing noise that sounds like a thousand fingernails on a thousand blackboards, then you have likely created feedback. Hit the mute and/or main volume immediately and then troubleshoot the problem. As mentioned previously, this can be caused by the microphone being too close to, or faced towards the speakers. Try moving the mic around and see if this remedies the problem. You may also need to adjust the position of the speakers in order to mitigate the feedback. Keep in mind that doing sound yourself is an acquired skill and may take you a few (dozen?) times to really get the hang of it. Experimentation with your equipment when not performing can be helpful but if you're renting equipment, then take a little time before you play to get a handle on the board that you're using. A little familiarity will go a long way when you're working to get set up and play in a short period of time. This is a topic that I touched upon briefly in the Duet-preparation article preceding this one. But improvisation can take on a very different form when it comes to performing. The concept of "bouncing" comes into play here which can be defined as taking what the other player is doing, and emulating or copying it and then working that element into a different direction. Then the player with the initial idea takes what the second player has to offer and transforms that idea and on and on. In essence, you are simply taking the original lick, rhythm, melody line, or whatever and swapping ideas and configurations while in the process of jamming. This type of improvisation can help to create new and exciting ideas and energy while performing and can add an element of spontaneity to your playing the likes of which is not possible in a solo performance. Many musicians have trouble communicating verbally with the crowd (either between songs or before and after sets) and this lack of communication can unfortunately create a sort of wall between you and your audience. Keeping a semblance of verbal contact with the people around you can help to loosen them up and in a sense, "invite" them into your world. Talking to the crowd relaxes them and gives them a feeling that they are participating in the act rather than simply sitting and watching passively, and often this small gesture from the band (you!) can be enough to incite them to boisterous and animated applause. This is a highly subjective topic and in time each and every performer will need to discover what it means to them. To me, I think that having a certain degree of poise and confidence regardless of the circumstances at hand can be an extremely important part of becoming a professional performer. Many problems can erupt when attempting to piece together a performance including problems within the duet, sound or equipment problems, difficulties within the house electrical system, drunken and obnoxious patrons, fussy instruments, tuning issues or simple personal problems that might get in the way of performance. Working through any of the petty problems (or ignoring them for that matter) that may rear their ugly heads, and stepping up and delivering a spectacular performance is the meaning of professionalism to me. Stage presence is, in part, maintaining poise on stage regardless of the circumstances, whether conditions are favorable or otherwise. Avoiding arguments with other musicians and preserving the peace on stage is certainly part of maintaining a respectable level of professionalism and will help impart to your audience that you're having a great time even if you're not. Further, the whole idea of performance is that you are, well, performing! Subsequently stage presence demands that you are giving the performance your all whether that means you are shredding your best guitar licks, or singing with passion, or dancing, or movin'-to-the grooving! Those with great stage presence tend to move the crowd on some level whether it be physically or emotionally and by becoming fully "present" in the music you will naturally develop remarkable stage presence. Of course there is no other choice than "..to be a performer that is! And although becoming an excellent performer takes years and years of practice, dedication and experience, there really is no other option for those of us who genuinely love music than to step up under the bright lights and bear our souls to the eager and expectant masses. Mark Lincoln M.A.